If you’ve been paying attention over the last decade plus, watching the evolution of the mega-yacht industry has been an incredible process to witness. There was a time in the not so distant past when a 200′ super-yacht was considered massive and easily one of the largest in the world. Make no mistake – a 200′ yacht is undoubtedly extremely large and a wonderful work of art and engineering. However, in 2016 a 200′ yacht won’t even make the top 100 largest in the world. Bigger doesn’t necessarily mean better, it just means more of everything. More volume, more amenities and features, more complex systems. More engineering and design work to bring everything together and deliver the yacht to its owner. I’m a lover of yachts of all sizes. From the smallest tenders to Dilbar and Azzam, I have a great deal of respect for the passion and engineering that goes into their builds. Over the next few days we’ll feature some of the world’s largest yachts. Today we’re going to take a surface level look at one of the largest yachts in the world, the 134m (439′) M/Y Serene built by Fincantieri. Built in 2011 Serene is currently the 15th largest yacht in the world. Her exterior is designed by Espen Oeino with an interior by Raymond Langton Design and a 15 cabin layout built to accommodate 24 guests and 52 full time crew. 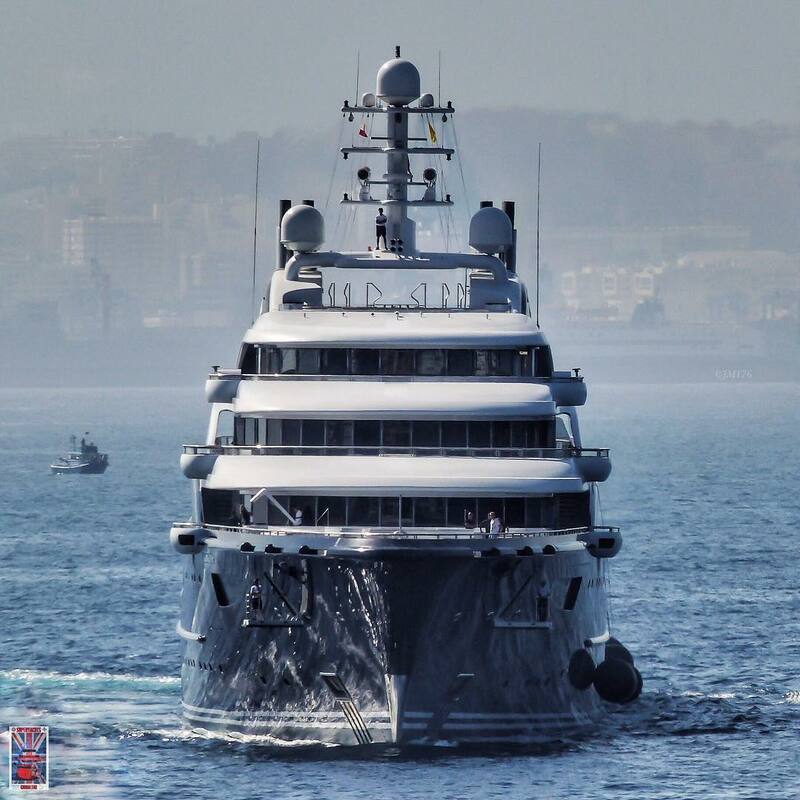 Previously owned by Russian billionaire Yuri Shefler the yacht sold to a buyer from the Middle East in 2015 for an undisclosed sum (estimated to be around 350M Euro). Serene is loaded with nearly every luxury feature imaginable including multiple heli-pads, jacuzzis and swimming pools (one of them is a 15m indoor sea-water pool) indoor rock climbing wall, spa complete with sauna, submarine and more. There is also an underwater viewing room and a novel “snow room” that creates snow. As yachts continue to evolve and grow one thing remains constant: more size means more features. We’ll keep our fingers on the pulse of the industry and share what new features are implemented to the next generation of the world’s largest yachts. 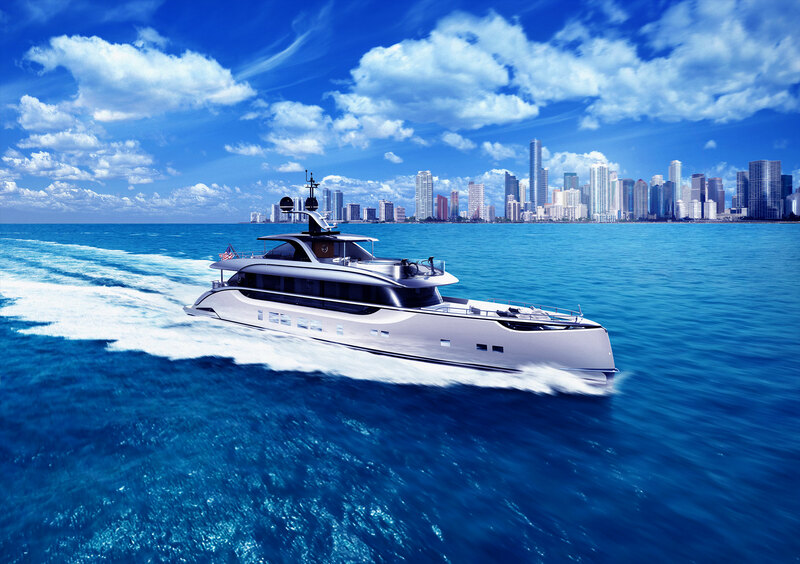 There are no limits when it comes to super-yacht design. In the coming weeks we’ll be featuring some of the other largest yachts in the world and some of the “smaller” but highly innovative builds.